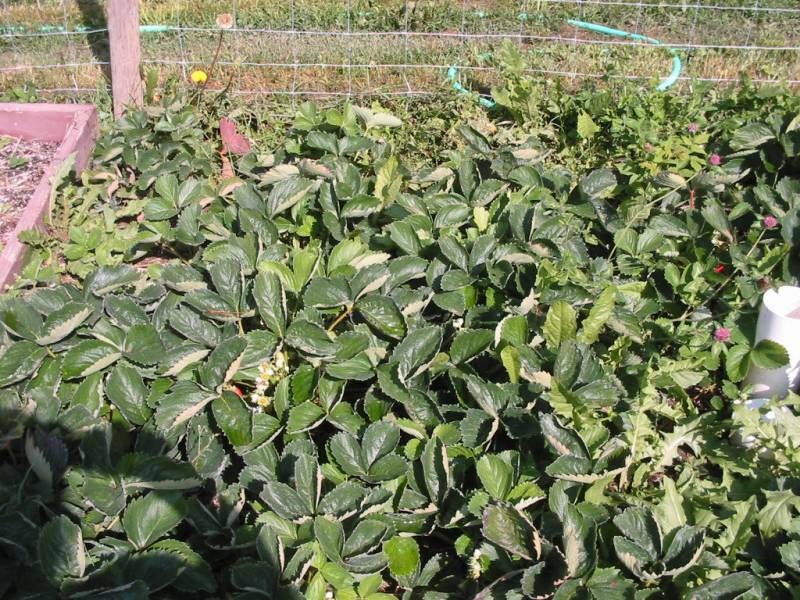 If you love fresh strawberries but don’t want to pay the high prices at the grocery store, why not start your own strawberry bed in the backyard? 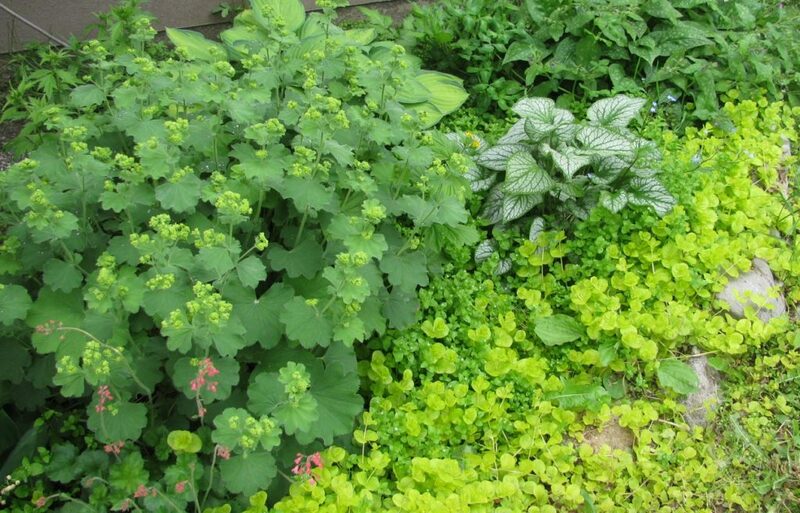 You can grow them in a bed or even as a border alongside your patio. 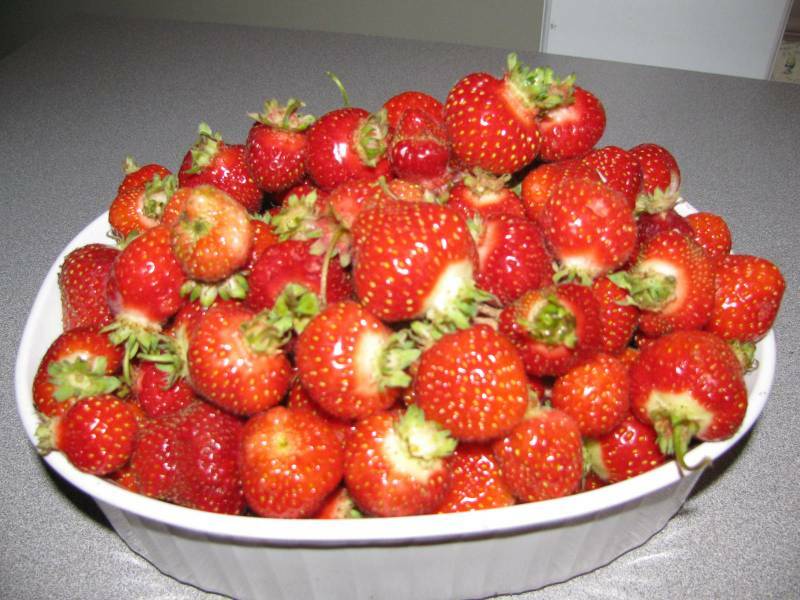 You can also grow huge strawberries in containers! Strawberries are quite easy to grow but to keep your bed going year after year, some maintenance needs to be done. And we’ve figured out how to grow huge strawberries every year! We have learned that it’s much easier to keep track of your new and older strawberry plants if you have two (or more) separate beds of plants. We actually have four separate beds, but you can just have two separated areas to keep track of which plants are older. You could also grow them in a vertical planter, like this one. Do whatever works for you so you can easily tell which are the oldest plants. 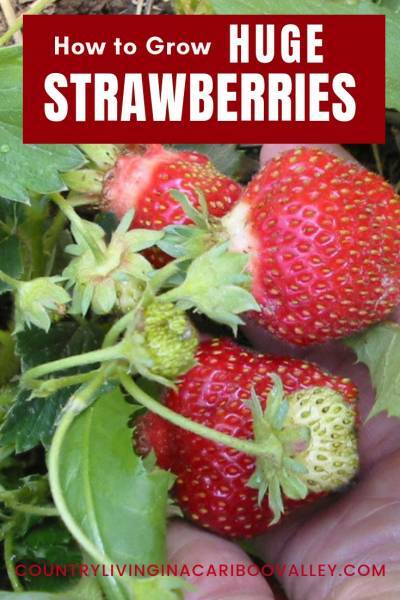 And you ARE going to want to know which plants are oldest, if you want the biggest juiciest strawberries there are. 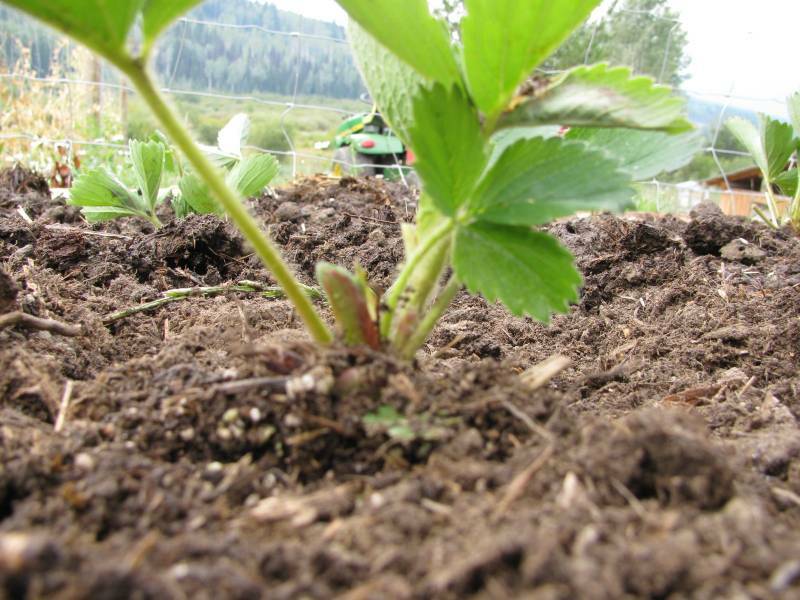 Get your strawberry plants in the ground; when you dig the hole add some compost before planting. And, when you plant, make sure you do so at the right height. If you plant too deep, your strawberry plant will suffer and not grow well. If you plant too shallow, the roots can become exposed to the air and will likely die. This plant is set perfectly, it’s not too deep so that the crown is buried. It’s not so shallow that the roots can become exposed. 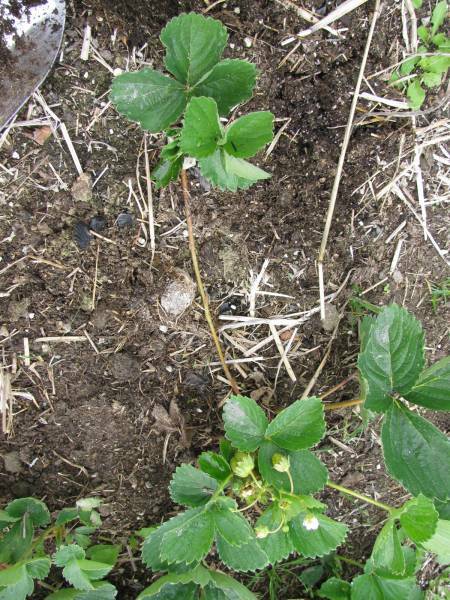 Planting depth is crucial to having your strawberry plants survive! Now just keep the plant watered regularly and it will grow. Soon, it will start to grow runners. You will be able to tell a runner because the plant sends out a long stem and starts new roots and leaves. Soon the plant will start bearing flowers – each flower will turn into a strawberry. You will probably find a LOT of flowers on EACH plant. If you want the big berries, snip off at least half of the flowers. You will be rewarded with fewer berries per plant, but those berries will be so big! And juicy! Just remember, the more flowers, the more berries, but they will be smaller. The fewer flowers, the fewer berries, but they will be bigger. When you want to have more plants for putting in the ground, always take the runners off your youngest plants. Just snip the runner close to where the NEW growth is. Plant that baby in a separate bed or area. (See, this is why we plant the runners into a different bed. This helps us after a few years to remember where the oldest plants are.) By the end of the growing season, all the plants will be the same size. It’s easier for us to keep them in different beds. Remove ALL the flowers that grow off your runners that first year to let the plant put its energy into the roots. And snip off any more runners that appear. This part is tough, because you see all the runners and flowers and think of all the strawberries coming! But, if you leave the flowers on, you will have lots of strawberries but they will be small! 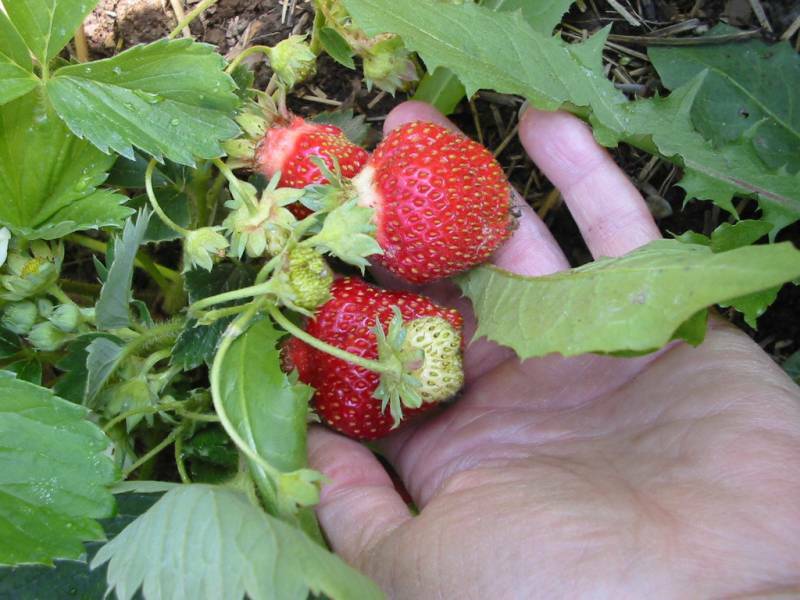 To grow huge strawberries, pick off the flowers! This will pay off the following year, as you will get much larger berries. Over time, you will end up with a lot of strawberry plants, maybe too many. In this case, take any 3 or 4 year old plants and toss them. Plants older than 3 years are usually past their prime and you will have lots of newer babies by that time. Keep replanting those new babies. You’ll be rewarded with healthier plants that bear big berries. You will be able to have a really good berry harvest if you just keep cutting and planting the baby runners from the newest plants. These will bear fruit the following year. For other maintenance, all you really need to do is keep the berry bed weeded. I have a lot of sawdust laid down as a mulch (we also use straw), and it has helped a lot to keep the weeds down. Weeding and regular watering are all that are needed. Early each spring, I top dress the plants with a shovel full of compost. You can also take some of the small plants and plant those extra strawberry plants in containers. Group a few planters on your patio or deck. 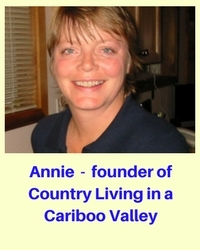 What do you want to know about growing berries in the North? Here’s how to grow and maintain a Raspberry patch. 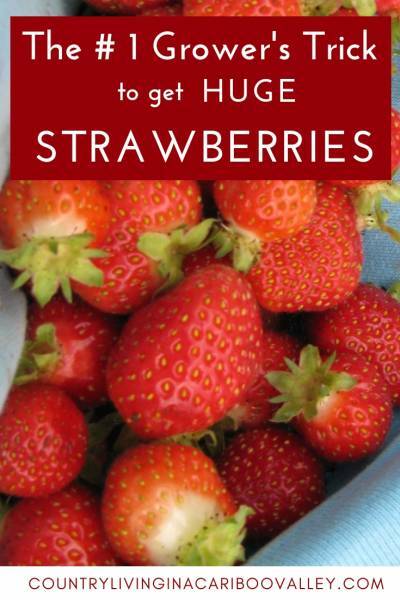 Why not make some Easy Strawberry Freezer Jam with some of your strawberries? 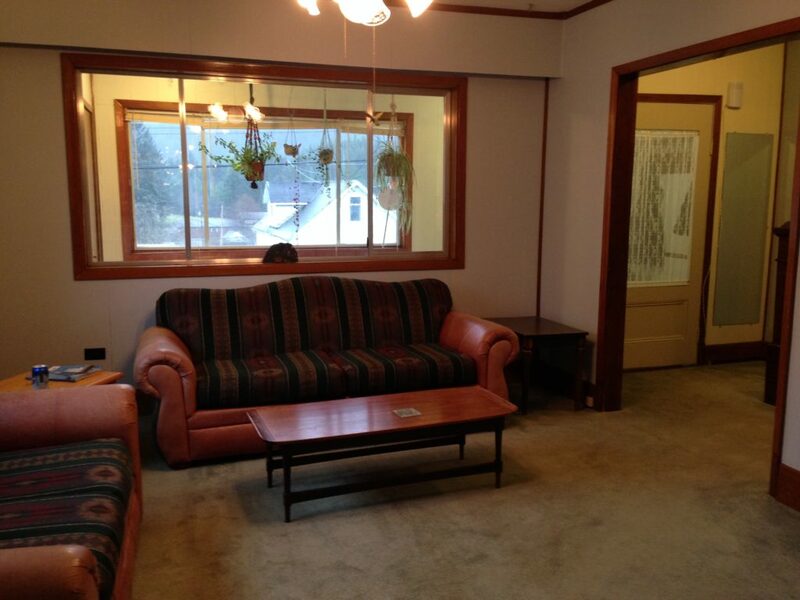 Need to move a Berry Bush to a new location?